You decide to tag all your URLs with UTM parameters. Great! You also defined your UTM naming conventions. Awesome! You forget your conventions. They are in some document, but you are too lazy to open it every time you need to build a URL. All the UTM builders out there, including spreadsheets, will make you type the whole thing. This is how it looks like in Google URL Builder. Is it weekly or wkly? Is the date format correct? Does the year come before or after? Is there a dash (-) or underscore (_) between weekly and date? I hope I didn’t make any typing mistakes. 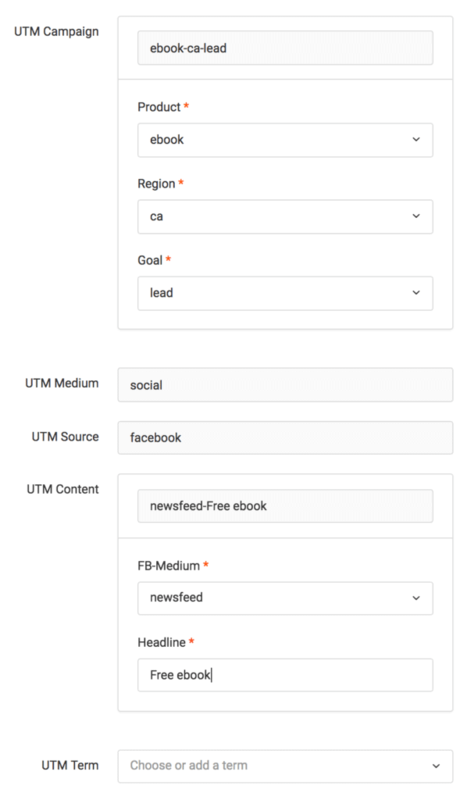 Did I use the correct utm_medium and utm_source? And this is a simple case. What if your URL builder looked something like this? 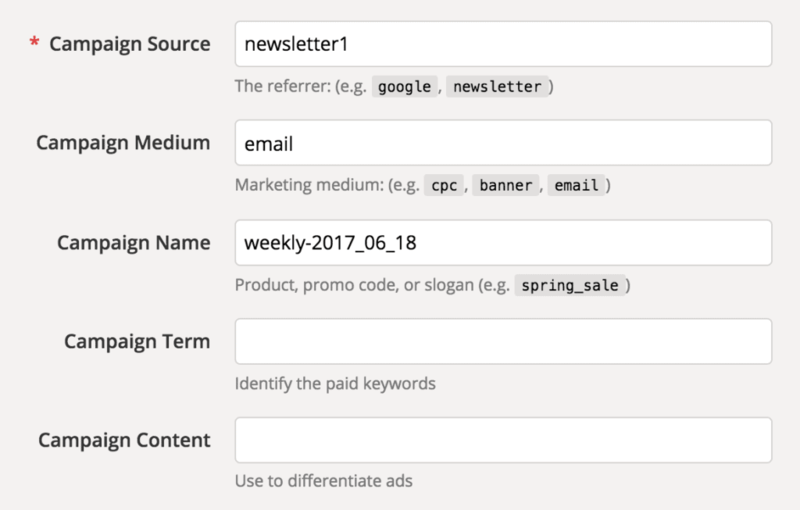 Your utm_medium value is already set to email and cannot be changed. Won’t that make your life so much easier? You can do this with Terminus. 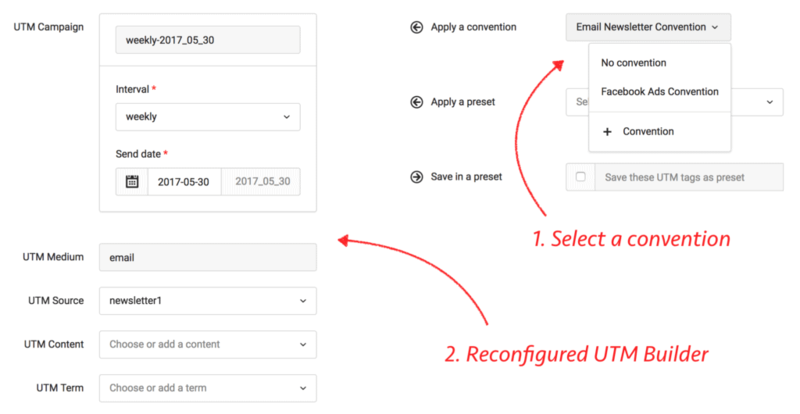 What if you could define UTM conventions for different product lines, channels, languages, etc.? You could have a convention for Social, or even just for Facebook. Do you see how easy it becomes to follow your UTM conventions now? Just select the values or type in free-text. The URL builder will create the correct UTM values for you. You don’t have one convention. You have several based on various factors, including channels, products, etc. But switching between them should be easy. Awesome, right? 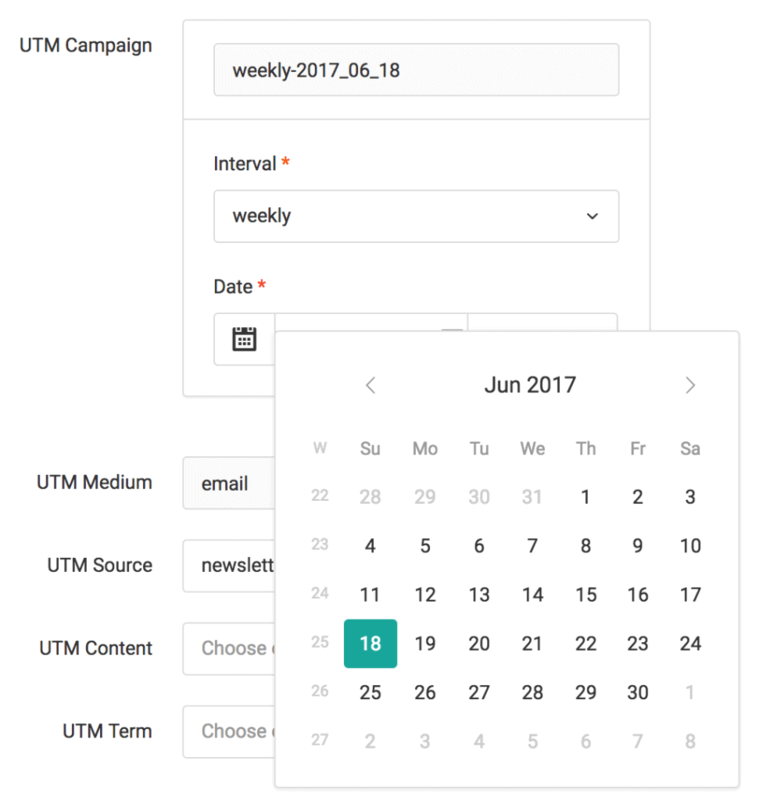 Try Terminus free for 21 days and define your own UTM conventions. Now you and your entire team can build UTM URLs with confidence. Some Terminus customers have mentioned that this feature has forced them to think through their UTM tagging strategy carefully. Since these conventions are built into the URL builder, it helped them be very specific about which values are acceptable and which are not. No more wishy-washy conventions that can be broken anytime by anyone. It has helped them add an extra layer of discipline. And with this discipline, your analytics reports will be squeaky clean. Seriously, if you haven’t already, try Terminus for free. There’s zero risk. Cancel anytime.